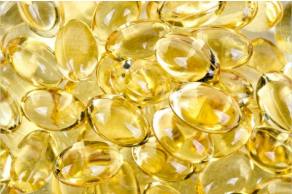 Vitamin D has been the subject of quite a bit of research lately, and for good reason. Now you can add another to the list. According to a UCSD study, vitamin D can conclusively help decrease the risk of cancer. Researchers at the University of California-San Diego (UCSD) School of Medicine announced in the journal PLOS One when a person had higher blood levels of vitamin D, it helped to contribute to a decrease in the risk of all invasive types of cancer (skin cancer risk was seemingly unaffected by blood levels of vitamin D). They also observed the inverse to be true; when a person had lower blood levels of vitamin D, it correlated into an increased risk of invasive forms of cancer. Though this has been suspected within the medical community, this was the first time any amount of quantitative data could establish the association. Here’s the thing – even among physicians, we’re unclear what a baseline for recommended levels of vitamin D should be. But seeing what they found, we know people need to be getting more over less! While their research didn’t establish a baseline for a recommended amount, what it did do was indicate with stunning clarity just how powerful higher vitamin D levels in the blood could be for fighting cancer. They took the results from two previous studies to determine exactly how it worked. By scrutinizing data from a clinical trial of 1,169 women and analyzing a prospective study of 1,135 women, they compared each study individually and also blended them for one large data pool. That’s when they found if a subject had more than 40ng/ml of vitamin D in their blood, their risk for developing cancer was 67% less than those who had less than 40ng/ml. They also found that cancer rates went down as 25-hydroxy vitamin D levels rose; women whose vitamin D level was 40 ng/ml or higher had a 67% lower risk. The researchers did not say whether it was more beneficial to get vitamin D from diet or from supplementation. Regardless of the source, it’s quite clear the necessity to have enough vitamin D in the blood stream is more important than where you get it. You can determine the amount of vitamin D in your blood levels by having a physician take a simple blood test.